When the peppermint scrub came out around Christmas time a few years back, my husband didn’t even have to ask if it was something I wanted. He just knew that I would love a kit with that and the frank Body Balm (review here), which of course is also AMAZING. So we all know by now that I can’t live without frank Body Scrub in some form. It just does so many great things for my skin! This is a review of the frank body peppermint scrub. 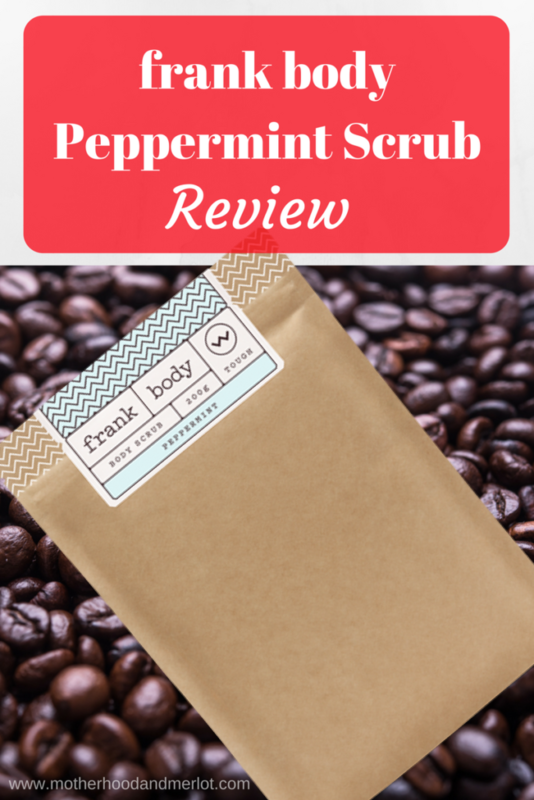 This has all the benefits and goodness of the original frank scrub (review here) with coffee being the main ingredient in the scrub. I have found that these scrubs are great for dry skin, oily skin, stretch marks, and for toning. This particular scrub retails for $16.95. This scrub also contains aloe vera, which helps to smooth and calm skin. I also think that this balances out scrub with the intensity of mint. The vitamin e is WONDERFUL for those of us that are trying to combat loose, stretched, or un-toned areas of skin because it works to hydrate and tighten those areas. The peppermint oil and native mint extract give some extra love tired muscles and skin. I have been using this now for about two months, once or twice a week. I am currently 25 weeks pregnant with twins and have continued to use this scrub all throughout my pregnancy. I had a few large stretch marks from a previous pregnancy and do everything I can to help with stretch mark prevention. You can read an entire post on that here. This scrub has been wonderful at keeping my skin hydrated and moisturized, especially since I get so dry when pregnant and during cooler months. I have been used it in conjunction with the Body Balm for stretch marks and it has thus far prevented any new ones from popping up and has kept the redness and size of others at bay. This scrub reminds me exactly of Andes Mints or a Peppermint Latte. I love the smell of this, especially in the morning! It is really refreshing to use a scrub that smells like coffee and mint after a good workout or when you are trying to get moving for the day. It is a strong smell, so if you don’t like mint this is not going to be the scrub for you. 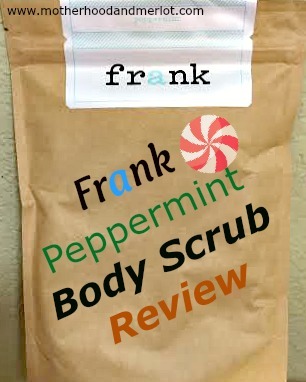 I would recommend the Coconut and Grapeseed Scrub or the Original Frank Scrub instead. I did not include the original in this list because that is just a must have in my opinion. The frank Body Balm is also a must have for me, especially right now on my growing baby belly. I love hearing that people enjoy this product as much as I have. What is your favorite scrub out of the bunch, if you have tried them? Thank you! I am always looking for natural body care – this seems heavenly! Kate – Catching Up With Kate recently posted…All it took was $1600 and a big fat lie to potty train my youngest….. It is one of my favorite products out there for body/skin care. It seems delightful! I love peppermint/mint in the bath so this sounds right up my alley. I really enjoy it:) I think it does great things for the skin. I love scrubs! And there are SO many things you can’t have when you’re pregnant, but peppermint is safe!! Pinning this for future use. Thx!! I hope you try it out and love it too! It has been really great throughout my pregnancy and post-pregnancy with my other two kiddos. Hahaha I am so glad that you like it! 🙂 My husband always tells me… “So you scrubbed today?” even if it’s hours later because of the smell in the bathroom.